Your home and patio are unique. Sunesta creates shade in seconds in every size. This means no matter how custom your home or patio, a Sunesta will fit. 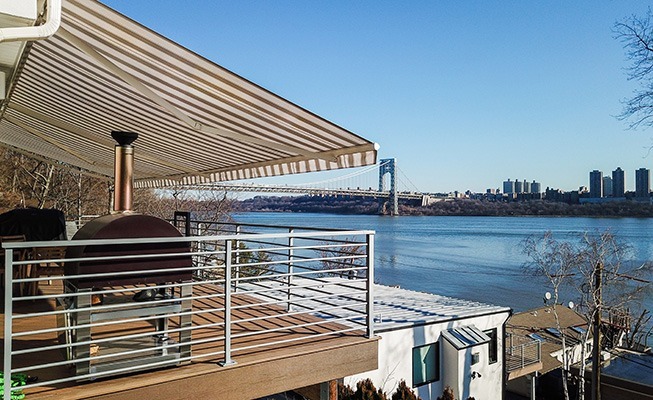 Sunesta has more custom frame color options than any other awning company. It is important that your home matches the colors you choose. Only at Sunesta. Sunesta offers 134 fabic options to choose from. 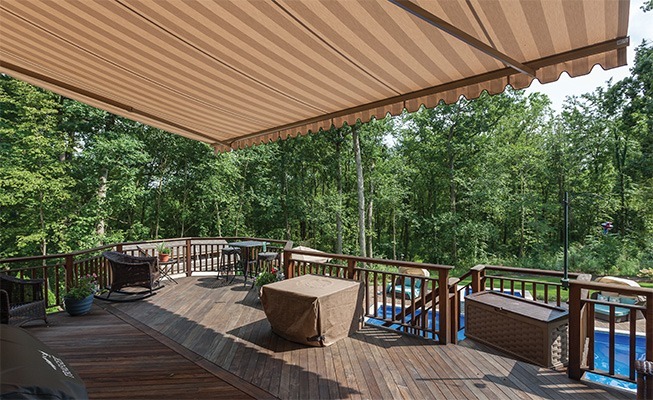 When you select our beautiful custom awning, you are getting the most custom awning on the market. 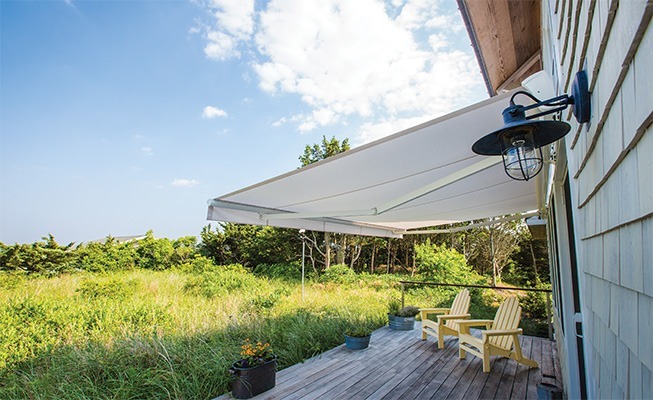 The best nationwide warranty comes with every Sunesta awning. We have the best warranty, because we have the best awnings. All Sunesta awnings go through extensive testing. Wind, weather and wear, Sunesta is tested, and a proven winner. Sunesta offers true white glove customer service. Call today and see why Sunesta is the industry leader in customer service. Our Smart Fold technology allows our custom awnings to deploy in narrow projections and very vast projections. Smart Park is a feature that makes sure your custom awning always aligns when opening or closing. Smart Pitch is a feature unique to Sunesta that allows precision arm pitch with one easy adjustment. Each custom made awning comes with Smart Strong, four (4) PVC protected arm cables for the ultimate in strength. All hardware comes standard with Smart Caps. Complete protection from the elements. Holding everything tight to your wall, ceiling or roof – our Smart Mount is an industry leader. Smart Lights are optional on Sunesta awnings. Dimmable LED lights create the perfect mood. Technology is paramount with Sunesta. 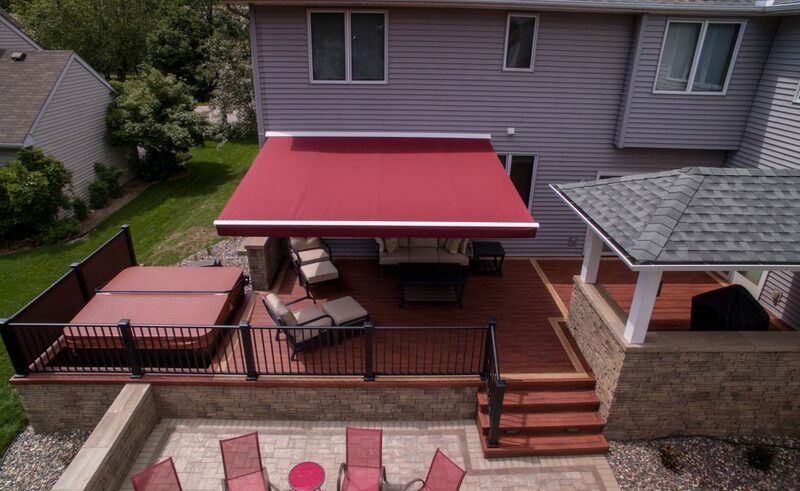 Wirelessly control your awnings with the press of a button, or smartphone app. Ultimate protection is a one-piece aluminum hood that is weather sealed to keep your awning in great condition. Smart Case is a casette that offers 360 degree, 365 day protection of the custom fabric of your choice. Sometimes the sun can be in just the wrong place. Not with a Smart Drop. Enjoy a drop down valance for added protection. Wireless motor operation is just another great technology feature. Control your motor at the touch of a button.